Kid performances in films tend to range from the irritating to the tolerable, with the occasional memorable exception. It’s no surprise, for instance, that Jodie Foster has had an extraordinary acting career. She was always good. Ditto Sarah Polley, who delivered a standout performance in The Adventures Of Baron Munchausen, then resurfaced a few years later doing equally fine work in Atom Egoyan films, and hasn’t looked back since. 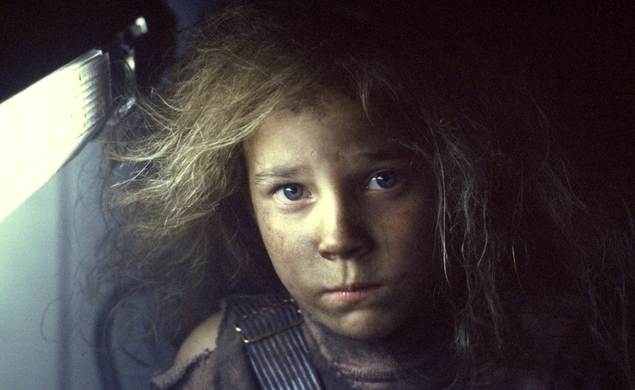 In Aliens, James Cameron’s great action-movie sequel to Ridley Scott’s Alien (and a recent Movie Of The Week pick), Carrie Henn does similarly excellent work as Newt, the pint-sized sole survivor of a colony overrun by killer xenomorphs. Henn had no previous acting experience when she won the role. She also had no subsequent acting experience, though that’s about to change. Henn won the part of Newt while attending school at Lakenheath in England, near a U.S. Air Force base where her father was stationed at the time. Though she won acclaim for the role, she opted out of acting again, telling People in 2001, “My family is really close, and I didn't want to live [away from them] in L.A.” By that point, Henn had transitioned to her new career as a teacher, working in California. Henn’s resurfaced from time to time since then, reuniting with Cameron and some cast mates for a 2011 Entertainment Weekly photoshoot and making the occasional convention appearance. Mostly she’s seemed happy to stay out of the limelight. Her return to acting most likely won’t change that. According to The Guardian, Henn, now 39, will be playing Newt’s mother, Anne, in a flashback in the Aliens fan film Alien Identity. Per the film’s website, Alien Identity “takes place 14 years after the events of Jim Cameron’s 1986 blockbuster Aliens, and continues the story of Rebecca ‘Newt’ Jorden, the little girl we all loved, but despised to see perish in vain.” That “perish in vain” reference refers to Alien 3, which killed Newt off unceremoniously. To correct that, director Adam Sonnet has built an adventure around Newt set in a corner of the Alien universe where she didn’t die. Sonnet’s wife Elle Viane Sonnet will play Newt. Rico Ross, who played Pvt. Frost in Aliens, will also make an appearance. While this won’t be a high-profile return for Henn, that doesn’t mean it won’t be seen. Fan films have grown in popularity, stature, and quality over the last decade as effects and equipment have grown cheaper and the Internet has widened their audience. The Sonnets are veterans of that world, having previously worked on the Star Trek fan film Star Trek: Phoenix. They’ll be funding the efforts in part through Kickstarter and, when finished, Alien Identity will join the many previously made Alien-inspired fan films, all of them better than either of the Aliens Vs. Predators movies.